ಹಿಂಗ್ಯಾಕೆ? 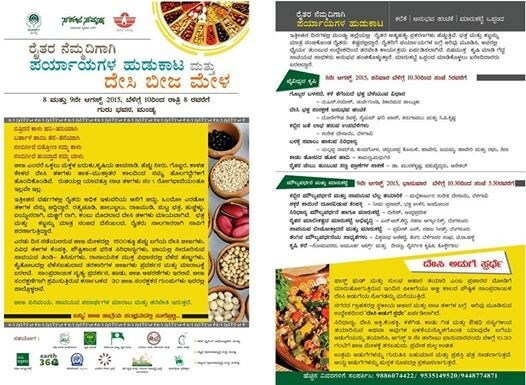 : 'Seed Mela' at Mandya on Aug 8,9. 'Seed Mela' at Mandya on Aug 8,9. Seed conservation, Cultivation of traditional paddy and millets. value addition and marketing of organic produce. Special talk on legume culture, diversification of sugar cane and marketing of traditional rice and millets. Image Source and information: Krishna Prasad Govindaiah's facebook page.